The RapidConnect Lighting & Sensor Evaluation Board has been designed to showcase the features in the RapidConnect Lighting & Sensor firmware. It includes peripherals to demonstrate each of the lighting control outputs and sensing inputs on the RapidConnect Module, enabling immediate demonstration of the wireless features that can be enabled via common Home Automation and Building Automation systems. 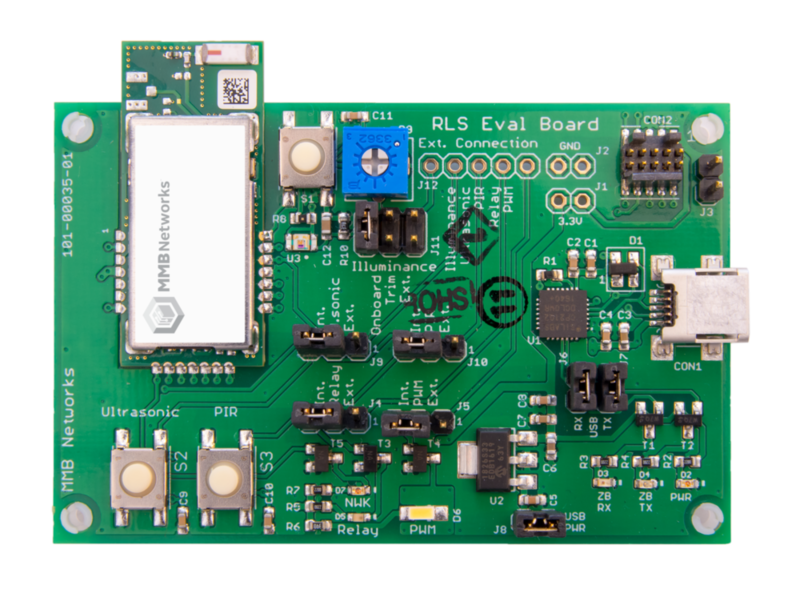 The RapidConnect Lighting & Sensor Evaluation Board also includes pins to connect to your own lighting and sensor hardware. See our Hardware Design Resources to learn more.